Bill Guttentag is a double Oscar-winning feature film and documentary writer-producer-director. He wrote and directed Knife Fight (IFC) starring Rob Lowe, Julie Bowen, Carrie-Ann Moss, and Jamie Chung, which premiered at the Tribeca Film festival, and was released in 2013. He also wrote and directed LIVE!, starring Eva Mendes and Andre Braugher, which was produced by Mosaic Media Group and distributed domestically by The Weinstein Company, and its international distribution included Lionsgate (2008). Click to view Bill's official website, designed by Overture Design. 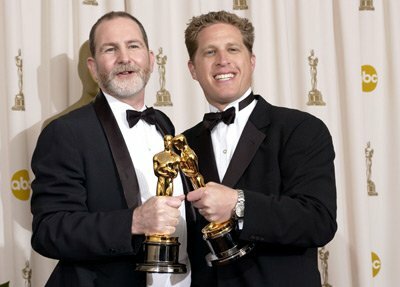 Director Bill Guttentag (left) at the Academy Award Ceremony. Melange Fashion Show - Fashion. Diversity. Art. Melange Productions is a fashion production company whose mission is to support emerging international and local designers, models, brands, and fashion professionals by hosting premier fashion events that blend fashion, theater, music, and dance. They put on the Melange Fashion Show every year in the United States and internationally to celebrate fashion, diversity and art.  Click to view the Melange Productions official website, designed by Overture Design. 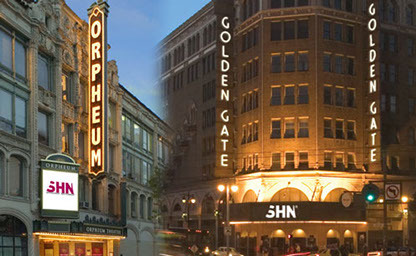 SHN owns and operates the SHN Curran, Golden Gate and Orpheum Theatres and is the pre-eminent theatrical entertainment company in San Francisco. SHN works with Broadway hits like The Book of Mormon, The Lion King, Phantom of the Opera and Wicked, etc. Click to view the official SHN Magazine, which is also mobile-friendly, designed by Overture Design.